Christmas is almost here! As I'm getting ready to go out, I found all three of the Armani Jacquard Palettes that I had purchased a while back. I had put these in a bag and some how they got lost in the black hole that I call my makeup closet. A shimmery pale golden tan. A shimmery pale sandy taupe/beige. A shimmery and wonderfully pigmented Deep redden raspberry. I'm meeting up with some friends for a casual dinner at my favorite Indian restaurant ( I used to go there three times a week), so I decided to used the Face Palette to create tonight's look. 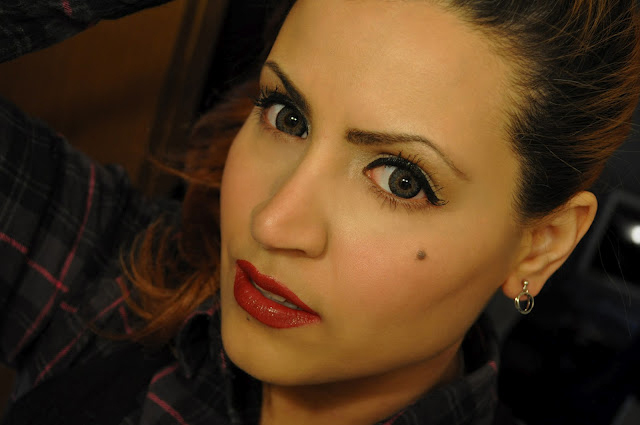 I used the Giorgio Armani Jacquard Face Palette for my eye shadow, blush and highlight. In the photo above, I swirled all four shades together, concentrating a bit more on the blush shade and lightly applied it on my cheeks. 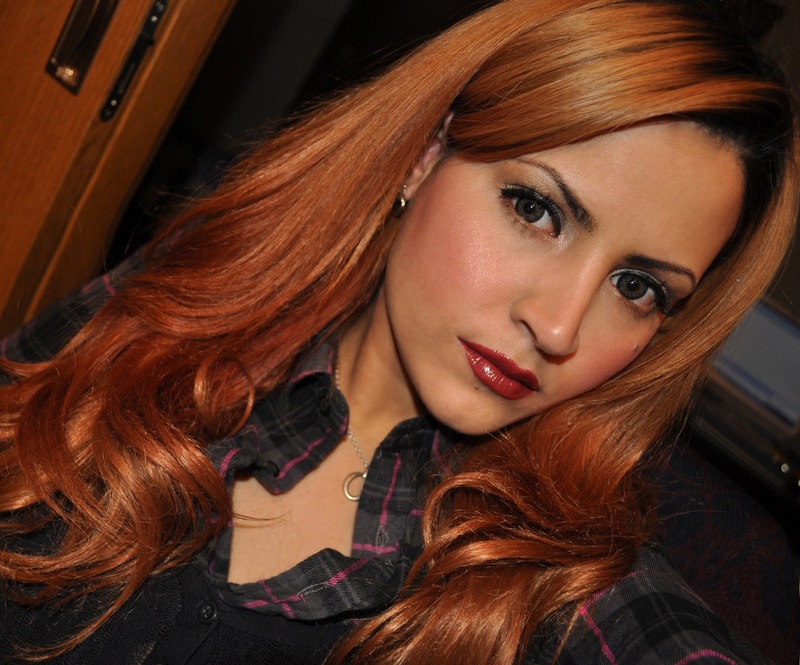 I used the sandy taupe/beige shade all over my lids and the pale golden tan in the crease. 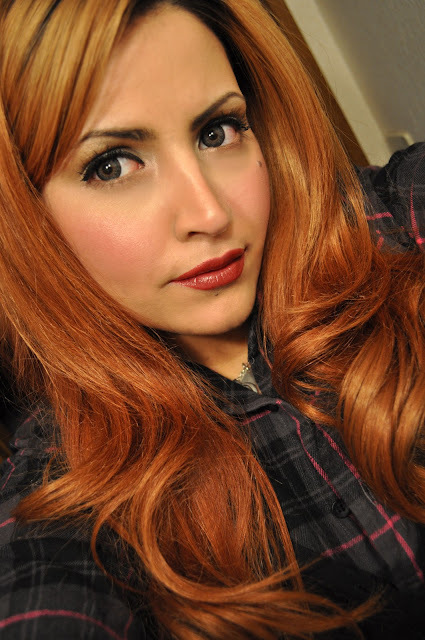 I'm wearing Dueba Sassy contacts in brown...but for some reason they look grey. Smashbox Color Correcting Primer in Adjust and blend (mixed together). Giorgio Armani Jacquard Face Palette, the sandy taupe/beige shade to highlight my cheek bones, the bridge of my nose and cupids bow. Giorgio Armani Jacquard Face Palette, the Deep redden raspberry as my blush. 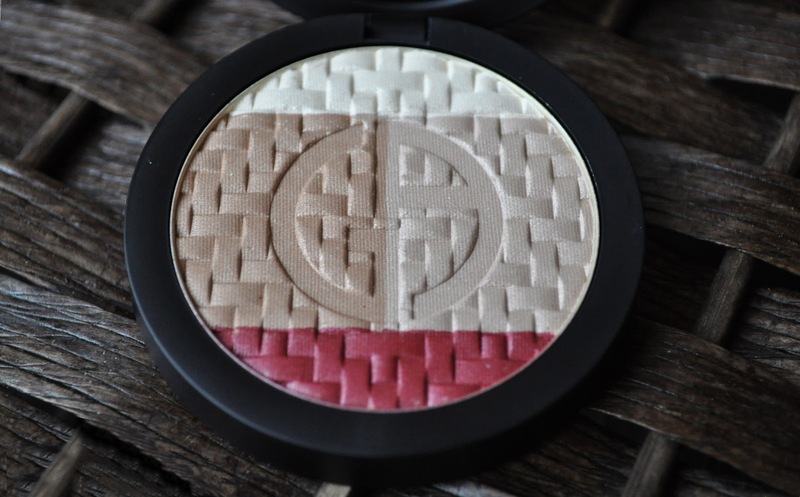 Giorgio Armani Jacquard Face Palette, the sandy taupe/beige shade all over the lid. 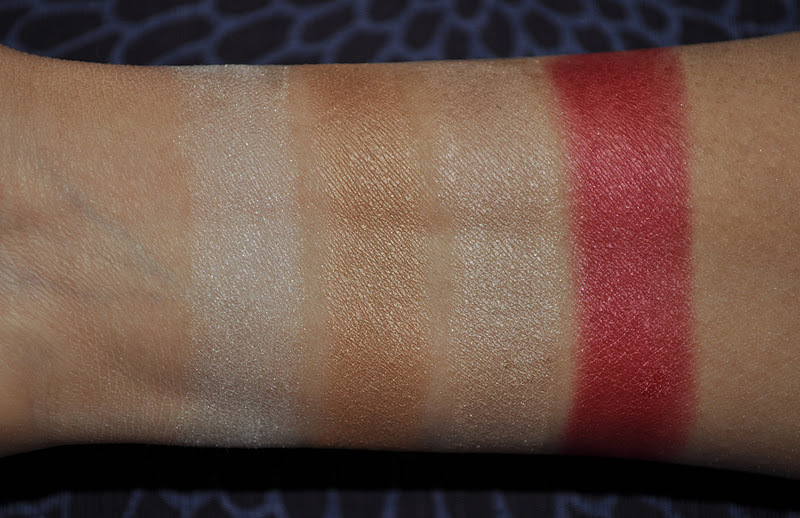 Giorgio Armani Jacquard Face Palette, The pale golden tan shade in the crease. Giorgio Armani Jacquard Face Palette, the Ivory shade to highlight my brow bone and inner corner's of my eyes. Mac Lipstick in Party Line. Giorgio Armani's Jacquard Face Palette in limited edition but it is still available at giorgioarmanibeauty-usa.com and nordstrom.com. This Palette retails for $55.00. I'll be posting the other two palettes in this collection next week. You look amaaazing :). I can't get enough of your blog right now! I miss the length of my hair and that color!